SEATTLE — Improving infrastructure in Ethiopia is right at the top of the government’s to-do list and they are proving such a priority in significant ways. The Ethiopian government announced in March of 2018 that spending has hit over $15 billion thanks to a partnership between the Ethiopian government, Chinese investors and their government, the World Bank, European Union Nations and the African Financial Development Bank. These partners are also sponsoring projects which are improving Ethiopian infrastructure. Ethiopia’s economy has been booming since the early 2000s, growing at a rate of between 8 and 11 percent each year. The population is slowly but surely moving away from agriculture as the main form of employment and focusing instead on manufacturing, construction, and other areas, such as mining. These infrastructure improvements are crucial to keeping up with the growth of the economy. Ethiopia is landlocked and must mostly rely on its neighbors to get their goods to market as a result. As one of Ethiopia’s largest trade partners, China has made improving Ethiopian infrastructure a state interest. Two Chinese rail and construction companies — China Rail Engineering Corporation and China Civil Engineering Construction Corporation — worked together to complete a 765-kilometer electrified railway between Ethiopia’s capital Addis-Ababa and Djibouti ports. Djibouti borders Ethiopia to the east and its coast faces the Gulf of Aden. These projects are to help increase the flow of goods to be exported to Djibouti and help imported goods reach Ethiopian markets faster. In 2018, the President of Kenya and Prime Minister of Ethiopia met in Johannesburg to discuss the possibility of future joint infrastructure projects and complete projects to which they have already agreed. Improving Ethiopia’s ability to reach ports in Kenya will help to strengthen its trade power. Improving Ethiopian infrastructure to reach outside its borders is an excellent plan but will mean nothing if goods and people cannot move around internally. It is not just the capital that is growing; outlying cities are beginning to become important manufacturing and construction hubs thanks to European investors. 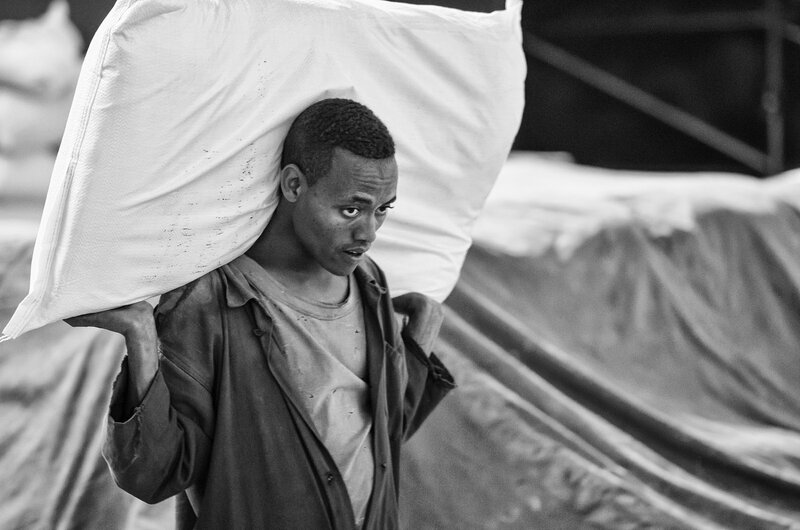 Goods such as sugar, coffee and coal need to reach the ports of Ethiopia’s neighbor’s ports as soon as possible. The Ethiopian government alongside Chinese companies have been working tirelessly to improve Ethiopia’s domestic roads and rails. The Ethiopian government plans to spend over $4 billion on domestic road projects over the next ten years with the goal of improving the movement of goods to and from the capital, and using the capital as a transportation hub. Everyone is pitching in up front — the World Bank has invested $309 million, the European Union has invested $300 million and the African Development Bank has invested $104 million up front. The Great Renaissance Dam (GRED) is proof that improving Ethiopian infrastructure will not only the country but also its neighbors in the long term. When complete, the GRED will provide Ethiopia and its neighbors with 6,450 MW of hydroelectric power, lowering the dependency on fossil fuels. Scientists estimate that the dam will help control silt deposits down the Nile. The Blue Nile — where the dam is being built — combines with the White Nile to form the Nile River. Both of these rivers deposit silt with the annual flood, and civilizations have relied on this resource since prehistory. Now, the flooding and silt deposits will be more controlled which allows Ethiopia and its neighbors to better use the water and silt in agriculture. However, not everyone is celebrating the construction of the dam. Egypt, which has historically relied on the Nile for water and agriculture since before the pyramids, is upset with its construction. The project manager of the dam was found dead in his car in a busy intersection in July of 2018, and in June 2018, the Prime Ministers of Ethiopia and Egypt vowed to settle their differences about the project. Hopefully, this dam will turn out to be a positive icon in the history of the Nile. The many nations around the world, especially “developed nations,” should take a page from Ethiopia’s playbook. Building infrastructure for your people and your neighbors will benefit all in the long term.